A couple years ago Aaron Henderson started a practice of writing one thank you note a day and it changed the way he looked at the world. The people he crossed paths with each day started becoming more and more human. He decided to start The Thank You Initiative to spread the gratitude. He teamed up with creatives from around the U.S., and even a few internationally, to develop a thank you card to send out to folks each month in hopes of inspiring gratitude. 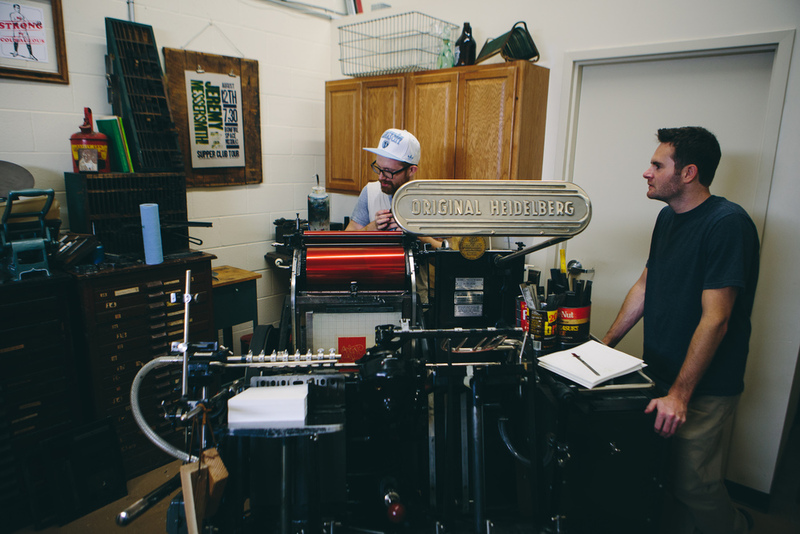 Joey Gross of Survival Letter Press, located in Kansas City, has taken on the task of printing the cards with his century old presses and equipment. Kindling has had the privilege to document the process and learn a lot about the fruits of gratitude from Aaron. Printing has just begun and we will be releasing a video for the Initiative soon.